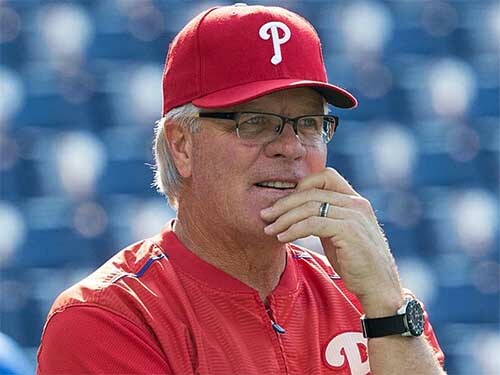 The Philadelphia Phillies have signed manager Pete Mackanin to a new two-year contract, extending him through the 2018 season, with a club option for the 2019 season, the team announced on Thursday. Mackanin, 65, is in his third season (second full season) as Phillies manager. He is 121-160 as Phillies manager. From 2009-2012, Mackanin served as the Phillies’ bench coach. He was also the third base coach in 2014-2015, before taking over as interim manager on June 26, 2015. The move demonstrates a strong faith in Mackanin from club ownership. Now in the midst of an overhaul, the Phillies are riding a tough stretch having dropped 10 of their last 12 contests. Despite the current standing, the expectation is that the Phillies will compete for a postseason berth within the next two years - meaning ownership believes in Mackanin's ability to manage the club into the final stages of a complete rebuild.